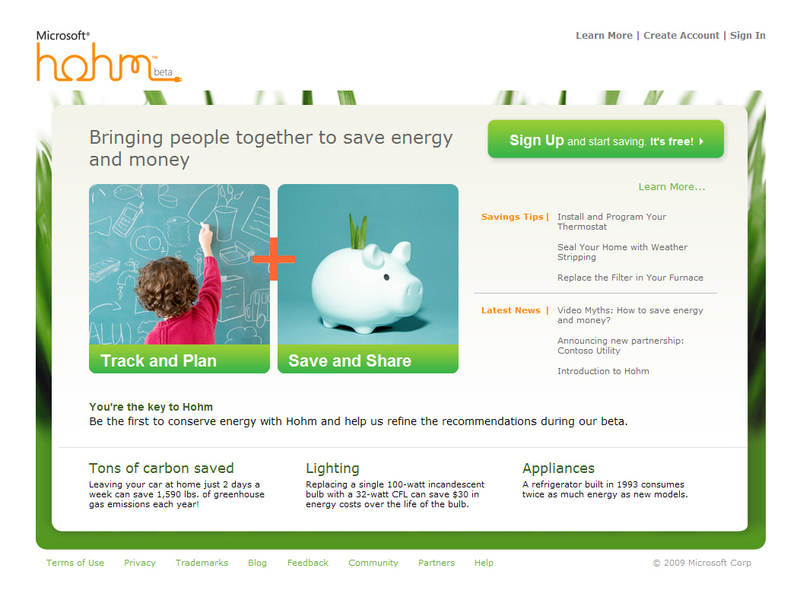 " New online application enables consumers to better understand home energy usage. Microsoft Corp. today announced Microsoft Hohm, a new online application that enables consumers to better understand their energy usage, get recommendations and start saving money. Microsoft Hohm uses advanced analytics licensed from the Lawrence Berkeley National Laboratory and the U.S. Department of Energy to provide consumers with personalized energy-saving recommendations. Microsoft Hohm is an easy-to-use tool that helps consumers lower their energy bill and reduce their impact on the environment. The beta application is available at no cost to anyone in the United States with an Internet connection and can be accessed directly by visiting http://www.microsoft-hohm.com.